“Equity Crowdfunding: Transforming Customers into Loyal Owners” now available. There has been widespread recognition of the emerging power of crowdfunding, the online phenomenon that provided more than $10 million for iPhone-compatible watch creator Pebble and $5.7 million for the upcoming Veronica Mars movie. Arizona Attorney Jonathan Frutkin of The Frutkin Law Firm recently published a new book about this new source of finance, known as “equity crowdfunding”. According to Frutkin, the same power of online funding will soon let local companies raise capital online – and more importantly, make customers into owners, increasing the market share of businesses that successfully leverage this new opportunity. The book, titled Equity Crowdfunding: Transforming Customers into Loyal Owners, provides insight into how business owners can turn their customers into loyal customers while raising money for their company. It is now available for print and digital purchase on Amazon.com. Interest in crowdfunding drastically increased after President Barack Obama signed the JOBS Act (Jumpstart our Business Startups) in 2012 legalizing equity crowdfunding, subject to new rules being agreed by regulators. A total of $2.7 billion was provided through crowdfunding by individual donors last year, according to reports by research firm Massolution — up 81% from 2011. This space is only going to heat up further when SEC rules for the JOBS Act are released this year, paving the way for equity crowdfunding. 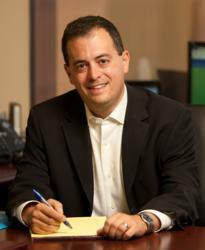 For more information on the book, author Jonathan Frutkin, and The Frutkin Law Firm, visit http://www.frutkinlaw.com. With offices in Phoenix and Scottsdale, The Frutkin Law Firm consists of ten attorneys with decades of experience in the core areas of business law, bankruptcy, and estate and tax planning. Jonathan Frutkin is the CEO of Cricca Funding, LLC, a consultancy that works with profitable locally owned businesses to take advantage of equity crowdfunding. As an entrepreneur who has led companies in diverse areas including software, digital marketing, food service and real estate, he understands the unique challenges facing business owners. He has most recently been the managing partner of The Frutkin Law Firm, a leading law firm in Phoenix, where he has been recognized by AZ Business Magazine as one of the top business attorneys in Arizona.